Explore Northern Norway from air on a flight sightseeing tour starting from Bodø. Enjoy the majestic views of the Svartisen glacier, the Lofoten islands, jagged peaks, fjords and a coast line with a myriad of islands. You`ll be flying past a variety of villages both along the coast and the inland of Northern Norway. Flight sightseeing is the perfect adventure for visitors who want to make the most of their visit to Northern Norway. You can capture unforgettable photos from your birds-eye view of Northern Norway. A sightseeing flight will let you see Northern Norway from a very different angle. You won`t just fly high above ground, you will fly amongst glaciers, between peaks and through valleys. 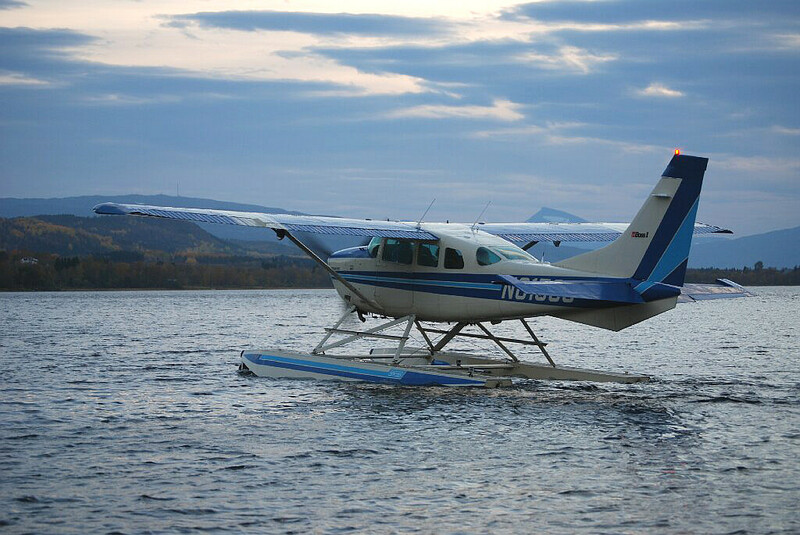 Enjoy a flight tour with a 5 seater Cessna 206F Amphibious seaplane. Photo: Lars Holten. Ready for take-off? Prior to boarding the seaplane in Bodø, you will get a meeting with your captain. Before take-off you will be given a professional, relaxed brief on the planned flight route, weather conditions and safety. The aircraft is a Cessna 206F Amphibious. Experienced pilots: Each captain has more than 20 years operational aviation experience as pilot in Royal Norwegian Air Force. They know Northern Norway like the back of their hand. You`re in safe hands during your flight tour! 4 - 5 persons. 4 pers. for the longer trips (due to fuel/weight). 4 pers. for take-off and landing at sea (due to regulations for emergency exit). 5 pers. for the shorter trips.